NOTES ON BLINDNESS is a truly extraordinary film that sits some way between documentary and fiction. At surface level this is a film that tells you about a man losing his sight and how it affects his relationships, sense of self and sense of purpose. On another level, it's the story of a loving and supportive marriage. When we meet John Hull he's looks like the caricature of the bearded woolly professor, and so it's not surprising to see him meticulously document his loss of sight - first blurriness at the edges, then just shapes, and finally nothing at all. At first he clings on to wearing his glasses despite the fact that they serve no purpose other than being reassuringly familiar. And he continues to dream lucid vivid visual dreams. He and his wife has children. There are moments of despair and helplessness but also wonderful normal family life. Ultimately, when we see him shed his glasses it's a moment of graduation and acceptance. At first, I was unsure of what to make of the choice of directors Pete Middleton and James Spinney to have John and his wife Marilyn's recorded audio lip-synced by the actors playing them. It felt as though it might be distracting. But it's testament to the fact that the actors are so good that not only do you learn to not notice the lip-syncing but actually enjoy their performances. Simone Kirby is particularly affecting as the strong but supple Marilyn who has to learn to bend with John's condition as much as he does. But the ultimate praise has to go the team putting together the visuals and the sound design that take us into John's world of fading sight and heightened layered audio. In fact, the film-makers are actually releasing a version of this film with a heightened sound design to appeal to blind and partially sighted viewers, which I am quite intrigued to experience. The movie will also be released alongside a virtual reality element that adds to the layered nature of this experience, and the film-makers desire to really take us inside John's experience. The result is a really moving, beautifully acted film with a really memorable sound design. 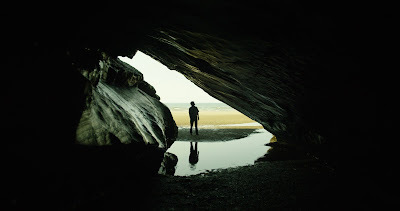 NOTES ON BLINDNESS will be released in the UK on July 1st. The movie has a running time of 90 minutes and is rated U. The film won the Special Jury Award at the San Francisco Film Festival, the Storytelling & Innovation Award at the Sheffield DocFest and the Storyscapes Award at Tribeca. The movie is on release in cinemas and on demand on Friday 1st July.